This is the second in an ongoing series where we tell you about what our writers have been doing for other sites. Well, I recently moved to St Louis, and while there found out about the excellent site “We Are Movie Geeks”, a fount of knowledge about all things St Louis movie-related. Upcoming arthouse shows, reviews of new blockbusters, giveaways…and now stuff from me, starting with an overview of the movies of Andy Sidaris! Please go and read their site, it’s really good, and not just if you’re local like me. And if you do, you can expect more of these director overviews from me, with Len Kabasinski pencilled in as next month’s. 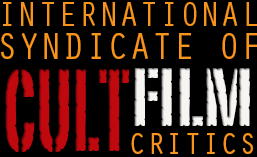 This entry was posted in Movie News, Specials and tagged ISCFC vs. Bookmark the permalink.